For what is worth, could be useful to new candidates. I am 40, work in private equity and last year decided to do the CFA for fun (and to check if my brain still works after so many years post Uni). What I did wrong: I studied on the official CFA materials. It took forever to read it (maybe also because English is not my mother tongue). I think I took 2 months to read book 1 alone (and 5-6 months to read all of them, 300-400 hrs). It is tedious, poorly organized and wordy (studied in the evenings and fell asleep most of the times after a few pages). Never again. I started studying for level II three weeks ago using the Schweser notes as the time until the June Level 2 exam is very little if you have a full time job and I have already gone through book 1 and 2, I like them, hope they are good enough to pass the exam. I finished the first read of the CFA L1 materials one month before the exam. In the following 15 days I read again only the parts that I had highlighted in the textbooks and summarized everything in about 10 pages of handwritten notes. From that point I only used my handwritten notes as reference. I used the remaining 10 days or so to practice with a few hundred questions on the CFA website + the 2 (or they were 3?) mock exams on the website. The exam went better tha expected, got the results yesterday, of the 9 topic areas I got 90th percentile in 3 of them and higher than 90th percentile in the remaining 6. The overall score seems to be 95th to 99th percentile from the chart. Level I vs Level II so far: I know everyone says Level II is much harder but actually I am finding it easier so far. The Level 1 curriculum is very wide while Level 2 is much narrower so far, but deeper. E.g. the quantitative method part of Level 2 has only one topic: regressions. Same for Economics: the only topic is fx rates. Maybe it is just me but I find it easier to focus on one topic and go deep vs studying multiple topics at a more shallow level. But since everyone says Level II is harder I am sure the hardest part has still to come, like i said I did only 2 books so far. So far it was a fun experience. I took the exam in London and 80% of people were young Chinese. I looked like a dinosaur there, when I took out my 20 years old HP12C they laughed at me lol. So bottom line my advice is: don’t use the CFA materials, using the Schweser Notes will cut the preparation time in half. Thanks for this insight. But you are advising against what made you get 95th percentile and for what you are yet to test if it works or not. 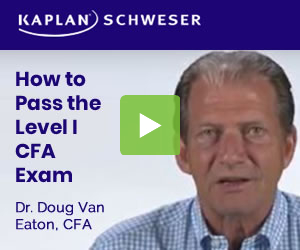 Maybe level 2 is easy for you because you studied level 1 from CFA material. Thought of that? @od320 Good point. That worked, but I really feel i could have got there in half of the time. The CFA materials were a really difficult (ie. boring) read for me. I feel they could have written the same things in 500 pages instead of 3000. it is a collection of articles rather than a structured textbook. @thumbliner I don’t think so, it is new stuff. Level II so far seems to be more focused on a few topics which makes it easier for me, but could be personal preference. Plus, I only read 2 books out of 5 and have not done any exercise….so I should hold my judgment…. Is regression difficult to tame? Depends. Likely “yes” if quant methods isn’t a strong topic for you.